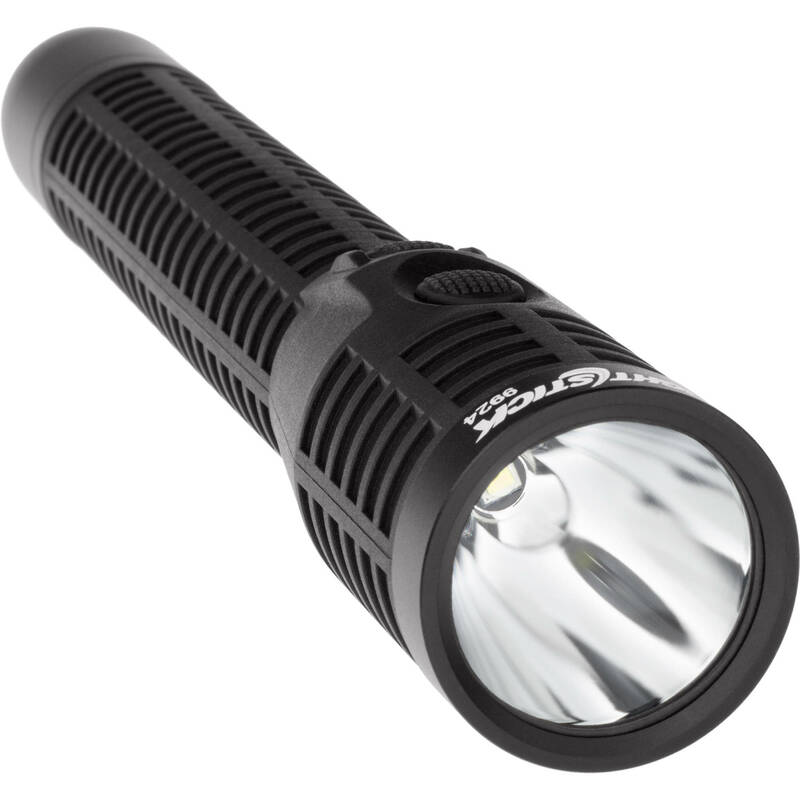 Whether you're a tactical professional, first responder, technician, mechanic, or camper, having a reliable light ready to go at all times is critical—and the Nightstick NSR-9924XL Multi-Function Dual-Light LED Flashlight is a unique combination of flashlight and floodlight that provides you with a versatile and innovative illumination solution. At first glance, it looks and feels like a conventional flashlight with a forward-facing LED that produces a beam that is optimized for a far throw. Unlike regular lights, though, a secondary LED is set in the handle just behind the head that produces a floodlight that is emitted at a 90° angle to the primary light—providing light for close-up tasks like reading or checking paperwork. You also have the option of activating either light independently or both at the same time for maximum illumination. Creatively engineered, the body is made of a reinforced polymer plastic that is impact and chemical resistant. It is also temperature resistant and stays a neutral temperature even in cold weather, unlike aluminum, so it's comfortable to hold no matter how cold it is. To withstand the rigors of daily use, the tailcap and bezel are made of aluminum with a Type III hard anodized finish. The whole body is impact resistant to 6.6' and sealed to an IPX7 rating, making it waterproof and submersible to 3.3' for up to 30 minutes. A lithium-ion battery can be charged in the light when inserted into the charging base. The base comes with 110 VAC wall outlet and 12 VDC car/vehicle plug power adapters so you can keep fully charged at home, or in-between calls in your cruiser.